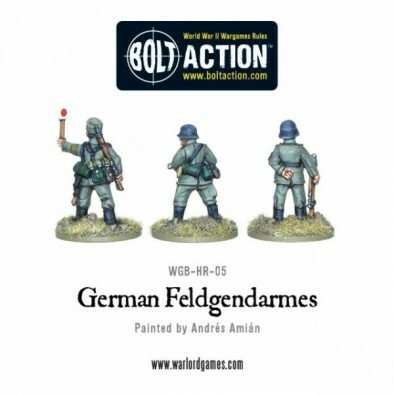 The German forces of Bolt Action will soon be calling upon the assistance of the Feldgendarmes military police as Warlord release their latest miniatures. 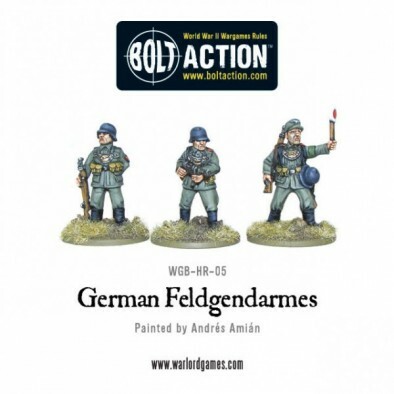 The Feldgendarmes were given full infantry training and extensive police powers under the Nazi regime and were responsible for policing conquered territories and enforcing discipline within the Wehrmacht. Warlord's Feldgendarmes definitely look the part, wearing the metal gorgets hanging from chains that earned them the nickname Kettenhunds, or Chain Hounds. 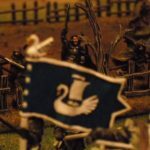 They would fit in well with a larger infantry force, while still maintaining a distinct style that marks them apart from the rest of the army, and judging by those expressions not even their own side will fancy getting in their way for long. What do you think of these Bolt Action military police? Can you tell us more about the Feldgendarmes during the war? Bad enough being p*ssed of poxed without having an MP whack you one over the head! 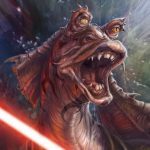 I would like some special rules for these guys, unless any already exist?